An unusual, country style French chapel chair. This rustic chair features a bar back design and traditional rush seat. They are in excellent condition, and have recently been removed from a local Chapel in the Normandy area. This French chapel chair could have possibly been made in the UK, and then shipped abroad at some stage, but they are all in excellent condition; substantially made and very sturdy. We do stock a large selection of chapel chairs if these are not to your taste, and can sell these in any quantity. We have a large quantity of these chairs available; this listing is for one chair. Please quote reference: 'Normandy Chapel' when enquiring. £17.95 delivery for a single chair. £25.00 delivery for 2 chairs. £55.00 delivery for a set of 4-6 chairs. 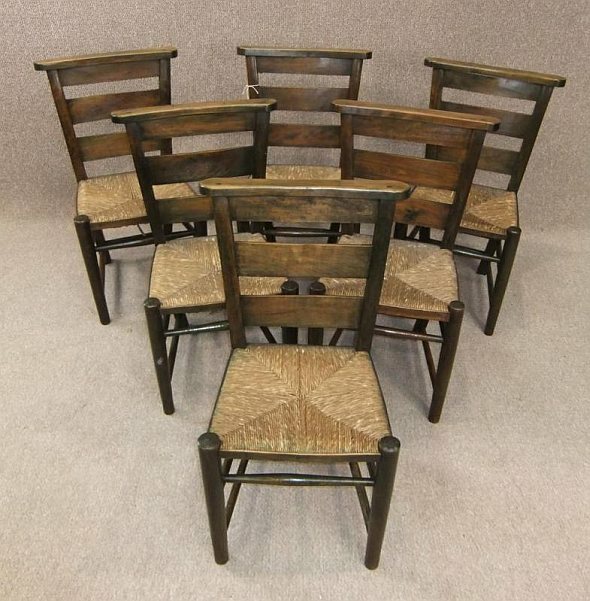 £65.00 for a set of 8 chairs. £75.00 for a set of 10 chairs.